Time and time again we’ve come across this question. People find it quite amusing that we decided to choose two tandems instead of single bikes. On the road, especially within city limits, it’s fun to see people turning their heads and looking at us with a priceless expression. 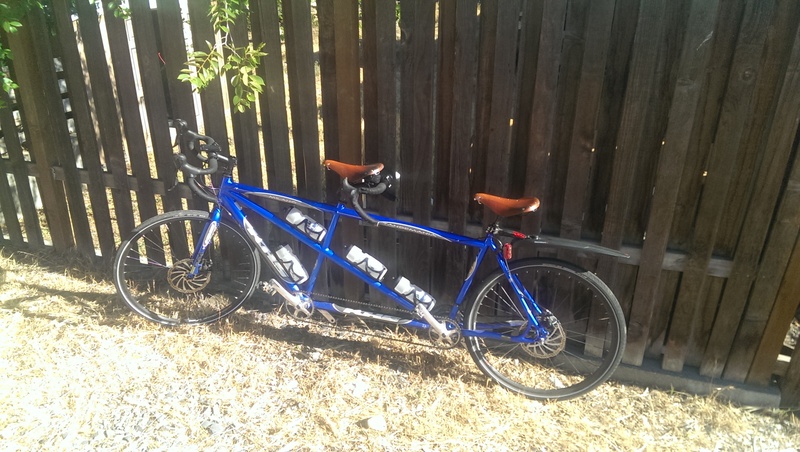 We chose tandems after talking to a Professor at South Dakota State University who had done some extensive cross country biking and we emailed him with our plans and to ask for his opinion. He pretty much blew the idea out of the water. And so we decided to go in and talk to him. Tandems have the upper hand when it comes to wind resistance. A tandem can generate a power output of two and only a bit more drag than one and so tandems can ride faster in various situations including headwinds, downhill and flat surfaces. With trailers as heavy as ours, it’s definitely easier to pull them on tandems than it would be on single bikes. On a tandem, the riders can pool their skills. The pilot is responsible for most of the maneuvering of the bike. 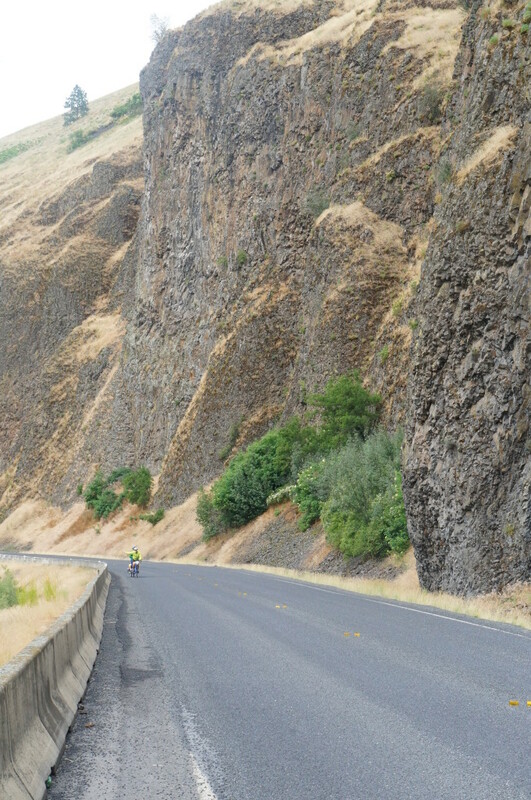 The reason why I say most is because if the stoker (person in the back) were to shift his weight too much, it can steer the bike out of control. Take it from us; we learned this the hard way. The tandems have been a great team building experience so far. We found out that it’s a great way to develop relationships as well as improving communication skills. When you’re in such close quarters with someone for about 10 hours a day, you have to converse. And more often times than none, you end up learning something new about your partner. It’s a great way to share an experience as well. Whether it’s flying down the hill or a majestic view of the landscape, every mile has a combined sense of achievement. Some of the obvious problems with tandems are the extended parts that are different from single bikes such as a longer chain. A rather small inconvenience, but we are having to carry some of these parts with us. When we first started riding, there were some obvious discrepancies between the pilot and the stokers riding abilities. This caused some problems with coordination when trying to keep up cadence. Over time, we got a better idea of each other's strengths and weaknesses, and made adjustments accordingly. The tandems have definitely enhanced the experience. 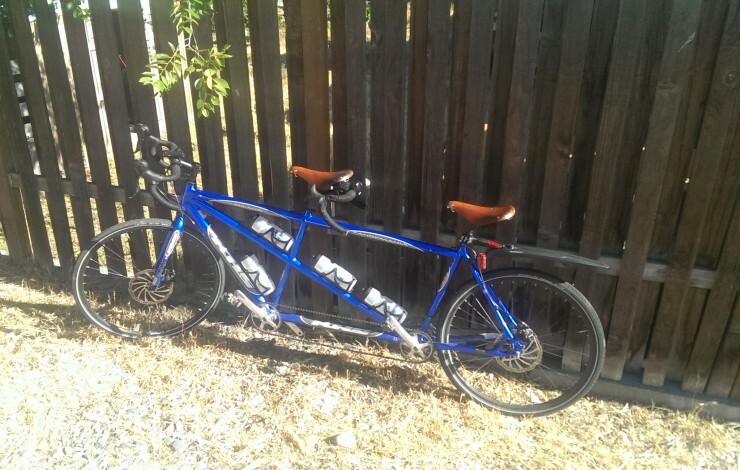 If you have kids you want to bike around with or want to share the experience with a loved one, a tandem might just be what you are looking for. 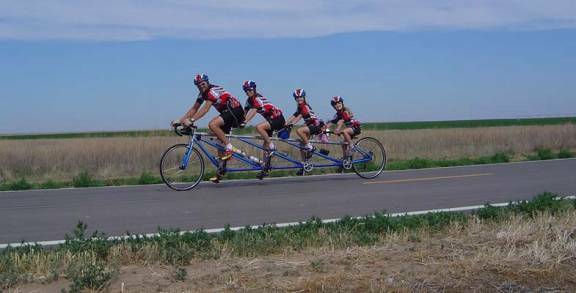 A tandem offers the chance to ride with your entire family! On a side note, it’s also probably the easiest way to break up with someone, if that’s what you’re looking for. I just have to say that I love the blog updates from you guys! I get them emailed to my phone and everytime I get one I just have to stop what I’m doing so that I can read it right away! Keep up the good work!!! You guys are awesome. Keep up the good work.